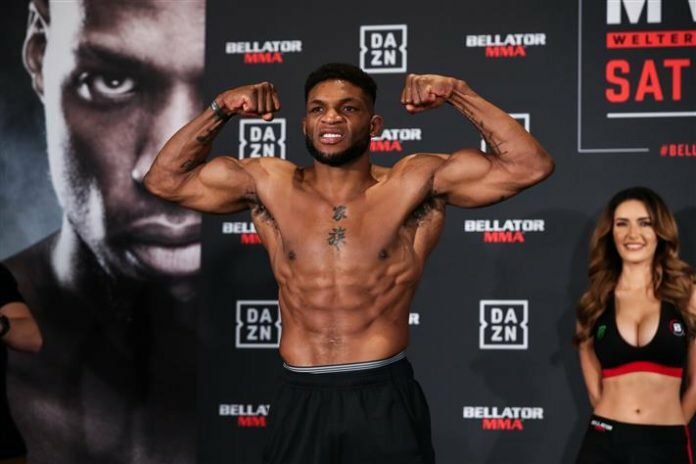 Paul Daley will be making his return to the cage in June against former UFC welterweight Erick Silva at Bellator London. 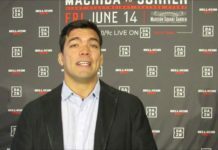 Last week, Bellator announced that on June 22 they will be heading back to London for another big show. 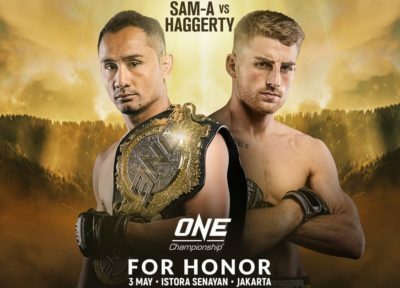 They announced a headliner in Gegard Mousasi defending his middleweight title against Rafael Lovato Jr. Also announced to be at the SSE Wembley Arena in June were former UFC welterweight Paul Daley and Irish prospect James Gallagher. Although, they didn’t have opponents announced. 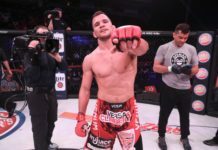 Daley has been fighting in Bellator MMA for four years and has been one of their best at 170 pounds. 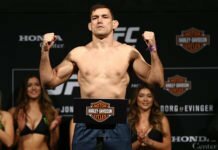 However, he is coming off of back-to-back losses, losing to Jon Fitch in May of last year, and losing a grudge match to Michael Venom Page earlier this year. 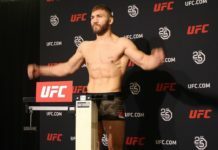 The Page fight was notable for Daley attempting to use his wrestling for the first time in his career in a fight that he promised to keep standing. 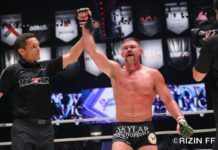 However, he would go on to lose via decision in that fight, and now will be returning in his home country of London later this year. 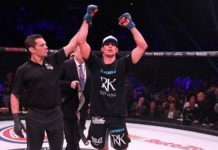 His opponent wasn’t announced until the Bellator London press conference earlier today, where we learned that he will be facing off against Erick Silva. 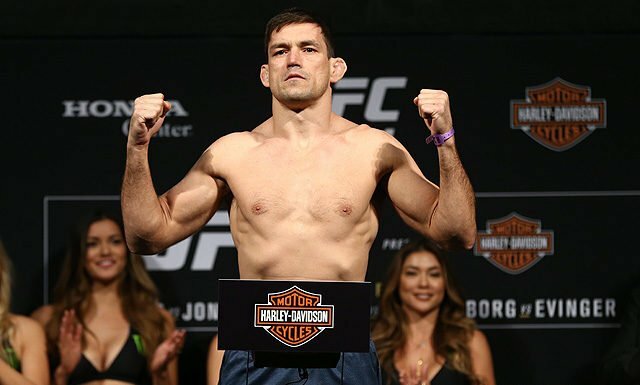 Silva was at one time a bright prospect in the UFC, however, he would falter over time and was not re-signed to the UFC following two straight losses in 2017. 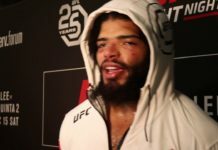 Silva would then have a one-off fight with LFA where he defeated Nick Barnes via armbar in the first round. 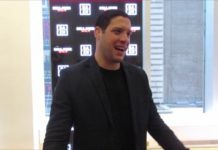 Afterward, he would sign with Bellator. Silva’s first fight was against Yaroslav Amosov in February, where he would ultimately come up short. 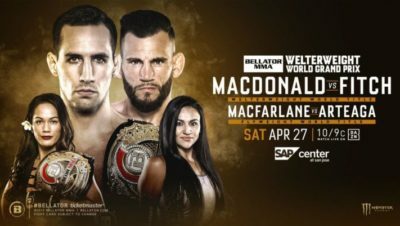 However, this fight is a good opportunity for both him and Paul Daley to get back on track in a talent-heavy Bellator welterweight division. 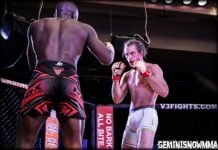 17 year old with a passion for the sport of Mixed Martial Arts. 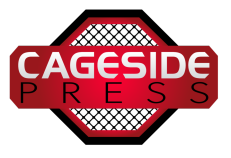 Have written about MMA since 2016, works have appeared on Cage Pages, Fansided, as well as CagesidePress. One half of the 'Courtside Soundoff' Podcast on Spotify, and Podbean. Can follow all works @JoshEvanoff on Twitter.